Indie rockers, Arkells are gearing up for the release of their fourth album, the first on Last Gang Records, Morning Report. To kick things off the Ham-Town boys dropped the studio tour video for the single “Private School”, featuring jangly pop undertones and guest vocals from Tokyo Police Clubs’ Dave Monks. The new record is out August 5th. Keys and strings replace the usual rampage of loud crashing guitars and drums as Whitby’s Chastity get sentimental in the new ballad “Peroxide”. This striking melody and waivering, distorted vocals will appear on the upcoming full-length, out later this year. When we think of Gregory Pepper we think of his 90s inspired alt rock sound. But recently the Guelph native has been “flexing his electro-pop muscle” like in the latest 3 song-single GHOST. The middle track, “This Town” does manage to display the familiar guitar riffs that work great along side our favourite crew of misfits, The Breakfast Club’s quirky dance moves. Listen to the rest of the single below. 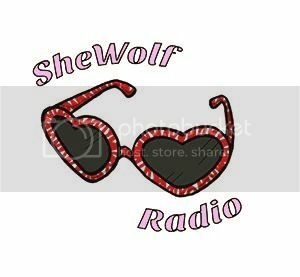 Posted on May 11, 2016 May 11, 2016 by shewolfradioTagged alternative pop, arkells, ballad, bedroom rock, chastity, electro pop, garage rock, ghost, gregory pepper and his problems, guelph, hamilton, In Other Dudes, last gang records, morning report, shewolf radio.